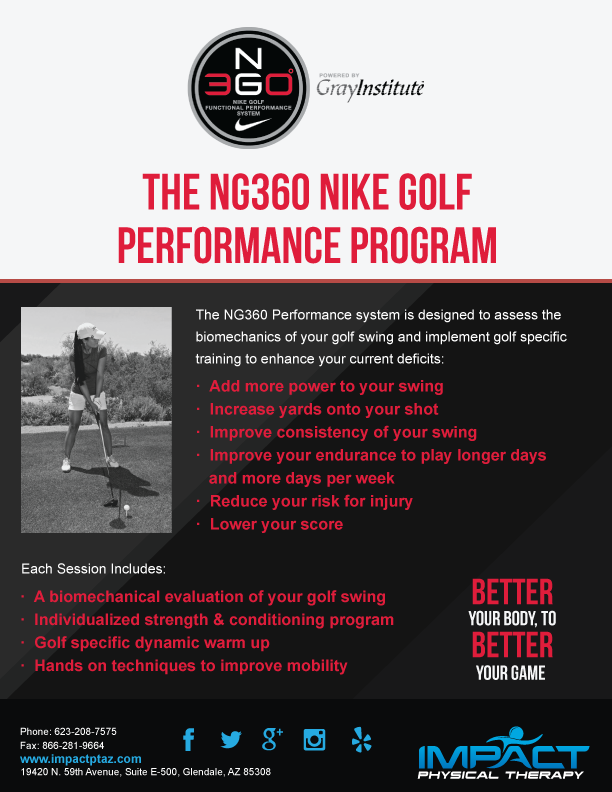 Analysis and training to enhance the athleticism and performance of golfers at all skill levels. Impact Physical Therapy offers a comprehensive golf assessment and training package that systematically identifies limitations in mobility and strength that are affecting your game. Our Doctors have helped hundreds of golfers return to the course with no pain and improved performance. You can have the newest clothes, shoes, balls and clubs but the most importance part of golf is You! Without optimal mobility and stability, your golf game could be struggling. We have helped golfers of all levels improve their score, allowed athletes to return to golf without pain and have helped LPGA golfers reach their goals. Are You Ready to Take Control of Your Performance?